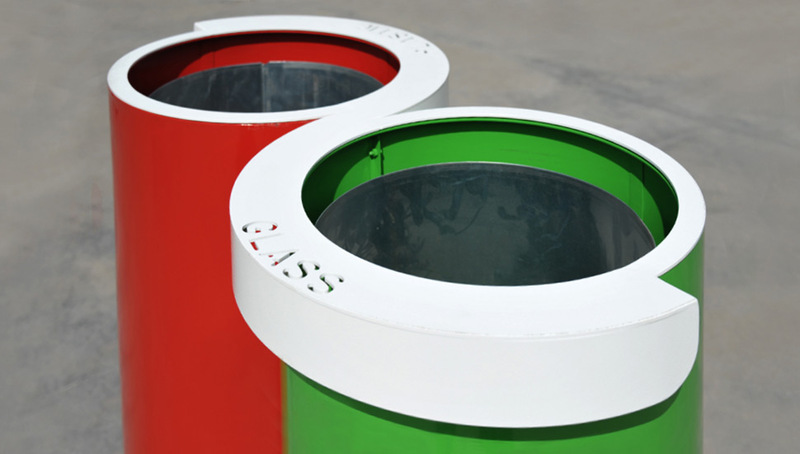 A modular recycling bin with an essential cylindrical shape. An “S” shaped white painted collar allow the positioning of recycling modules close to each other. The peculiar design of this product is the possibility to combine the modules creating a sinuous and infinite virtual line of waste collection.